*We have 36 tentative members for this year's FMB. Quality is more important the quantity. Our group is well balanced and full of good musicians! *The calendar of events is up-to-date. We tentatively have three Saturday events scheduled this year, including three contests at Springfield Northwest, Watkins Memorial, and Dublin Jerome. We are also tentatively scheduled to perform at the North Union band festival as well. These, and all events, are required. There is no bench in band, therefore it is essential that all band members be at all events unless excused via the attendance policy. The calendar is always available online from any digital device. *Pre-camp is the week of July 17 and rehearsals will be 8am-noon. Additional rehearsals may be scheduled in the afternoons this week for percussion or for visual work. These dates and times will be published as soon as they are set. *Band camp is July 30-August 4 at Wittenberg University this year. More details about camp will be available in May. Camp will cost $300 this year and includes your FMB 2017 t-shirt. All band members need to pay their $75 deposit no later than April 4, as we need to pay Wittenberg a deposit to hold our spot. Make checks or money orders payable to "Fairbanks Music Boosters" and submit to the booster mailbox ASAP or pay at the FMB parent meeting on April 4. All band members must have their deposit paid by April 4. Attendance at band camp is mandatory if you are participating in the 2017 FMB. *We will kick off a fundraiser in April for band members to defray their cost to band camp. Der Dutchman pies and gift certificates will be sold and the profit credited to students' accounts. Order forms and flyers will be distributed on April 4. Fundraiser profits may NOT be used for your deposit, which is still due on April 4. *The 2017 show will be revealed at the parent meeting on April 4. Folders of music will be distributed by Friday, April 7. 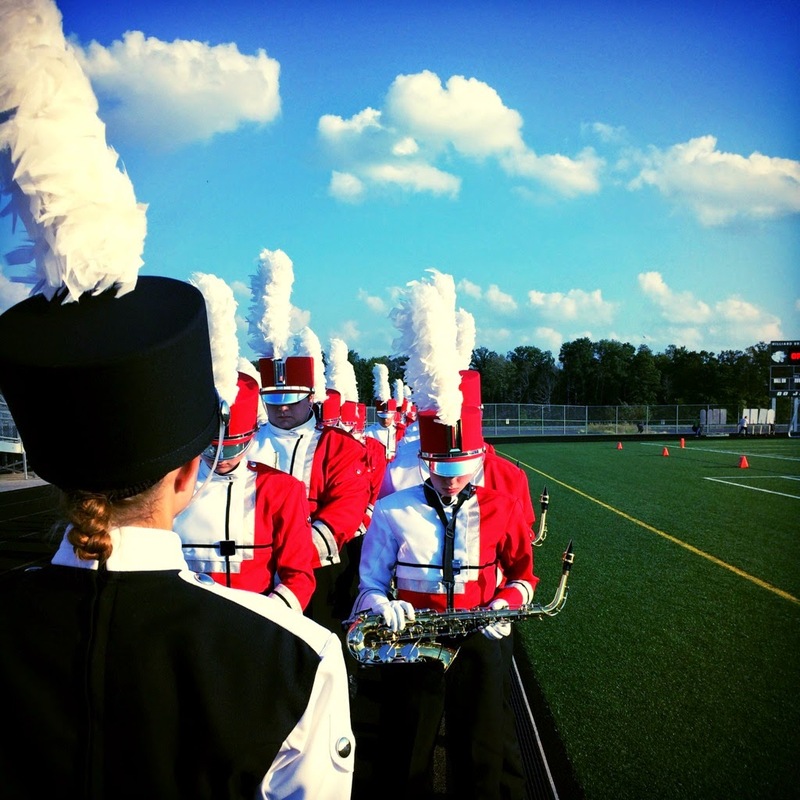 Band members should start practicing and memorizing their pre-game and contest music. 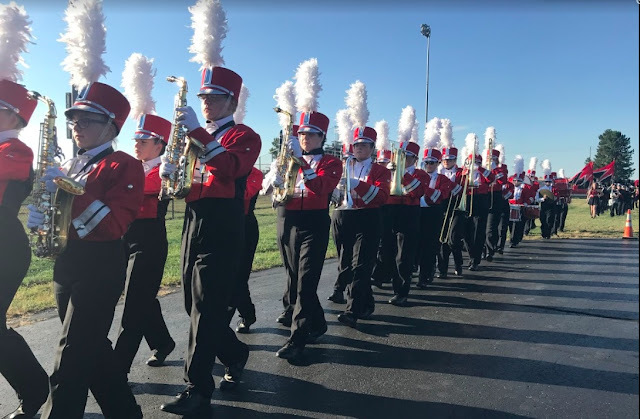 Several after-school music rehearsals will be scheduled before school is out to get a head start on this year's contest show. *Thanks to a generous grant in prior years, the Fairbanks Music Boosters offer some scholarships to deserving students in need. Applications will be available on April 4 or can be downloaded here. Applications are due by May 15 in the booster mailbox. *Finally, there will be an FMB parent meeting on Tuesday, April 4, 7pm in the band room. At least one parent from each marching band family needs to attend this meeting, regardless of seniority. The meeting will only last about 30 minutes, and you can pay your band camp deposit at this time if you have not already. It is very important that someone from your family be in attendance as this meeting sets the tone for communication for the entire upcoming FMB season.